Winter is most definitely coming, I don't know if it's because I am getting older. But I really feel the coldness nowadays. And if I am feeling that means my granddad will be. As I know he's not the biggest shopper in the world, I normally buy him bits and bobs during the year and always at Christmas he is greeted with a few clothing items. I know, I know I am always going on about my love for online shopping. But I can't help it. 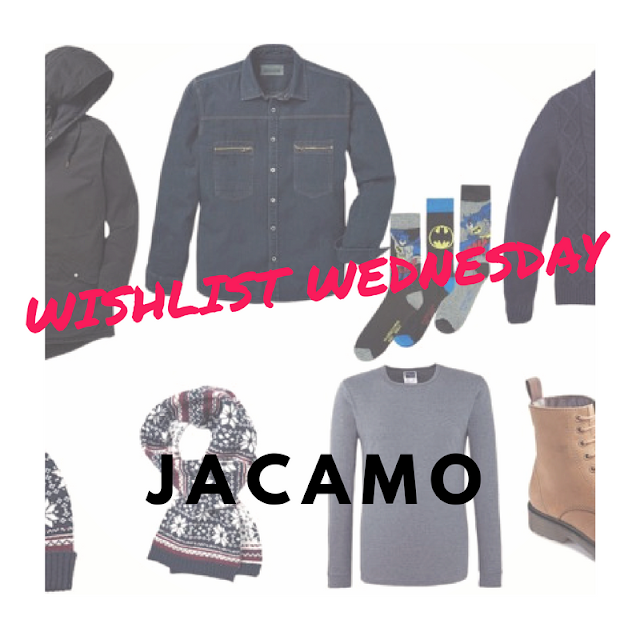 Jacamo is an online shop for everything the man in your life will need. As my time is seriously limited at the moment I can buy him some bits and get it delivered to him fuss free. Jacamo have lots of menswear to pick from and I was spoilt for choice. What I love about their clothing is that it is ageless and anyone man can wear them. They also have a fab men's gift finder Christmas Shop, if you're stuck on what to buy this year. Have you heard of Jacamo before?